Model # 200/4, Fits: F20, F21, F23, F29 and 200 Series. Model # 200/4, Fits: F20, F21, F23, F29 and 200 Series. 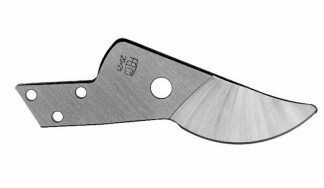 Opposite the 200-3 cutting blade, and matching its curve, the hook-shaped anvil blade holds the branch for cutting. Anvil blades should never be sharpened.